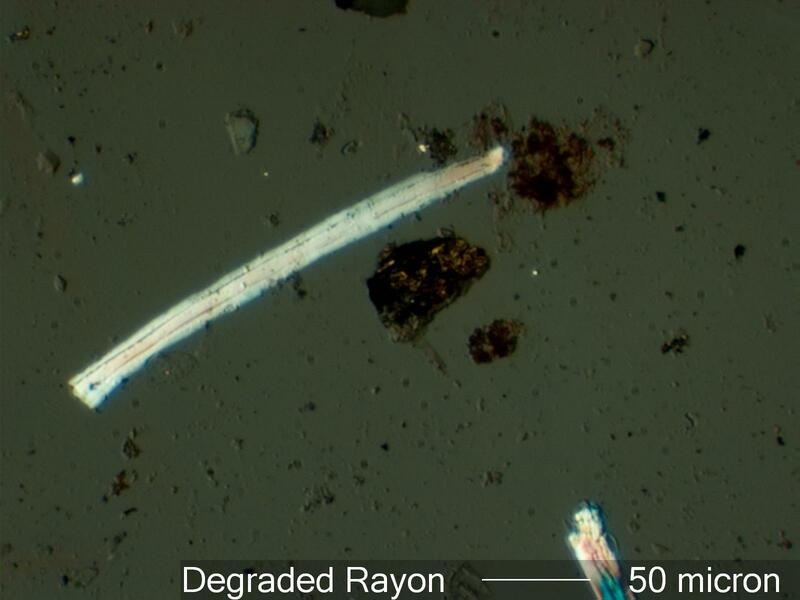 This is an example of a rayon fiber that has undergone hydrothermal degradation in a transformer environment. The average polymer length is reduced with a resultant loss of birefringence and a reduction in the refractive index along the length. Rayon fiber cord is sometimes used as ties in the transformer or on leads as insulation.